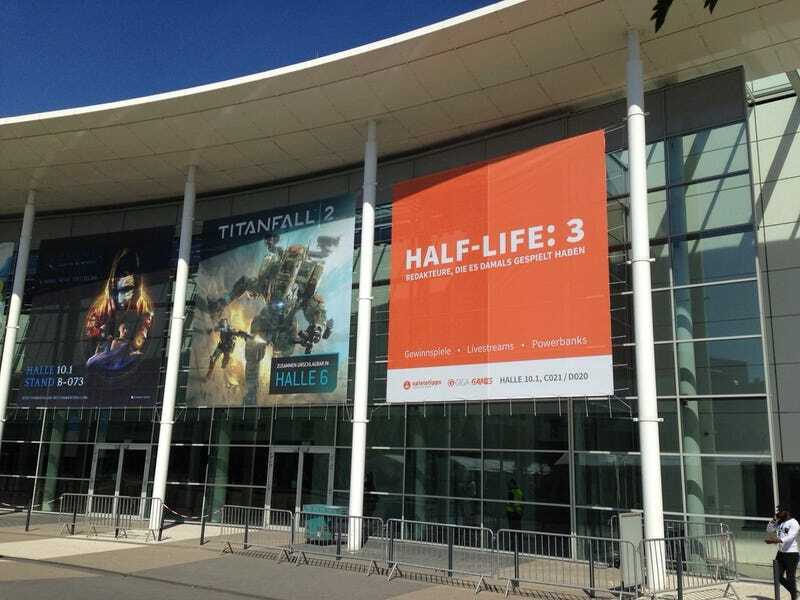 Trolling Gamescom With "Half-Life: 3"
A “Half-Life: 3" poster has been spotted at Gamescom. But don’t get excited just yet! This isn’t for Valve’s long overdue sequel. It’s for some world-class trolling. Spotted by Aoife Wilson at Eurogamer and Keza MacDonald at Kotaku UK, the poster doesn’t actually read “Half-Life 3,” but rather, “Half-Life: 3" and under that in smaller text “Editors Who Played It Back Then.” So, the three refers to the number of editors! At the bottom of the poster, there are the logos of German sites Giga Games and Spieletipps.